Welcome to the future - it's a wonderful wireless world. Patents offer a glimpse into the secretive and often amazing things companies are working on. Whether its next-gen helicopters, smart contacts, or solar panel cell phone screens, most new and old technology started out as nothing more than patent filings. Of course, Apple is no different when it comes to these patents. 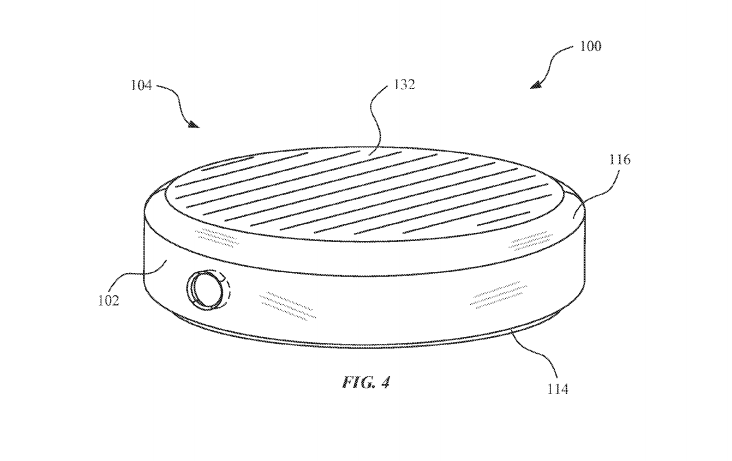 A recently published document from the US Patent and Trademark Office shows the company is still working on wireless charging, even when competitors may have all but given up on improving that field. Wireless charging is based on the idea of electromagnetic induction, where a magnetic field can charge your phone instead of the messy wires. While current options have the convenience of doing away with plugging in your phone, they waste a lot of power doing so, as they only have around 60-70% efficiency. The current patent filing is not concerned with inductive chargers specifically. The application is actually for tools dealing with finishing surfaces of products. However, one such product pictured in the filing was an inductive charging station. Also there were mentions of patenting tools to create space for inductive coils in devices. Putting those together makes it pretty clear of the direction Apple may be exploring. Given the recent move to get rid of the headphone jack on its upcoming iPhone release, its not hard to think the company would be looking for more ways to introduce wireless capabilities in the future. The device’s power would come from a USB Type C connection. This is not new technology. Many other smart phone manufacturers have integrated inductive charging into their products. However, Apple does have a knack for setting trends. Inductive charging really hasn’t taken off as a replacement of cabled charging, but innovations to the tech out of Cupertino may revitalize the stagnant demand. This Too Shall Pass: Is Apple Signaling the End of the Headphone Jack?